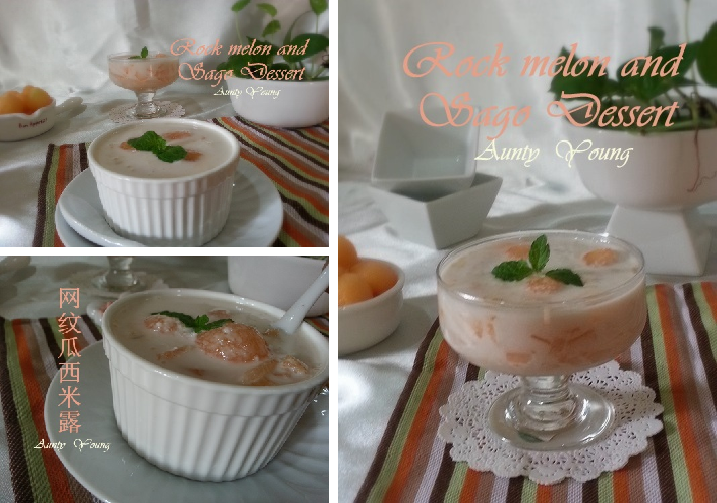 In this hot weather, a cup of ice cold Rock Melon and Sago Dessert would be very cooling! 1. Pour the water and sago into a pot. 2. Once boiling, lower the flame to medium and simmer for another 10 minutes. 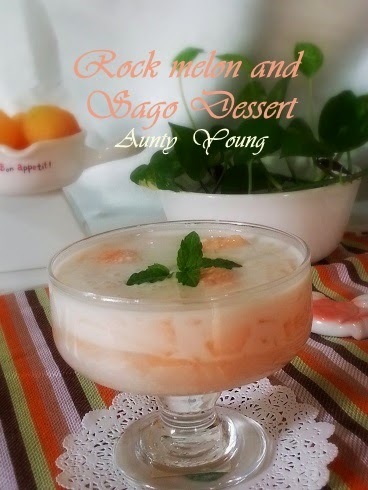 Stir at intervals to avoid the sago from clumping. 3. Simmer for another 20 minutes without flame, or until the sago is no longer white. 4. Drain the sago and run through with cold water. 5. 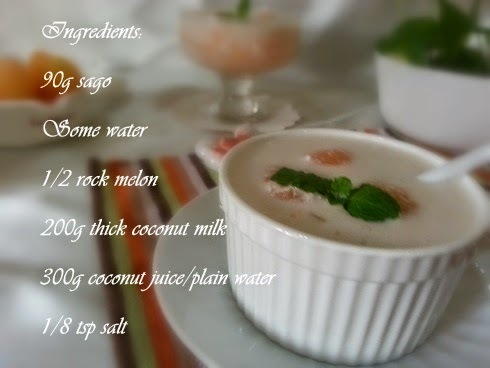 Mix well the coconut juice/plain water, thick coconut milk and salt in a container. 6. 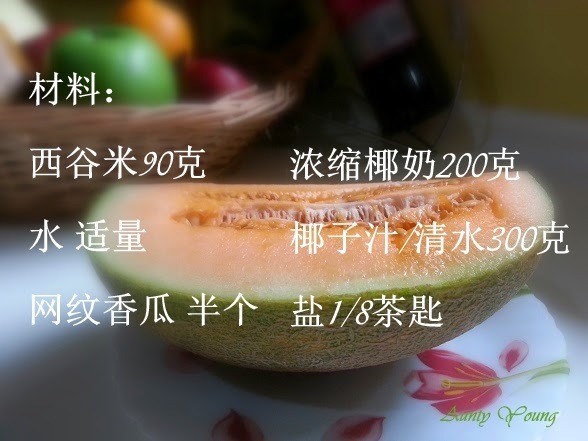 Cut the rock melon and remove the seeds. Scoop out the rock melon flesh with a spoon and place in a bowl. Add in the sago and coconut mixture in (5). Serve. 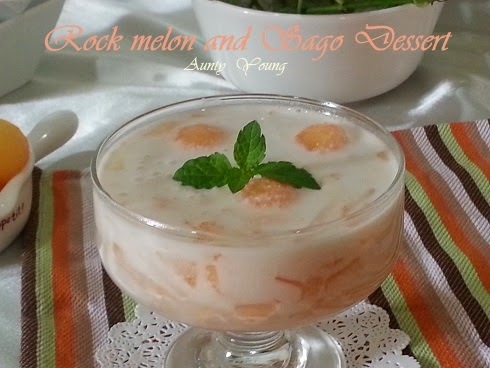 The sweet and crunchy rock melon, the chewy sago, the fragrant coconut milk, all three make a wonderful combination after chilled. 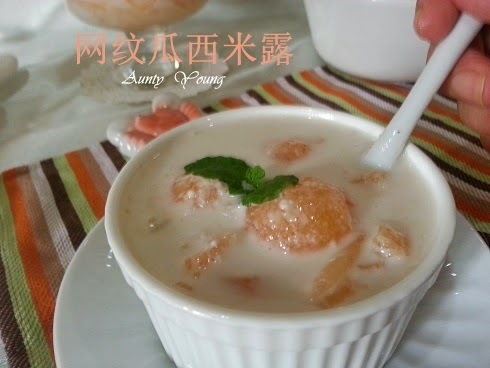 On a hot day, this dessert cools the body in a deliciously cold stream.